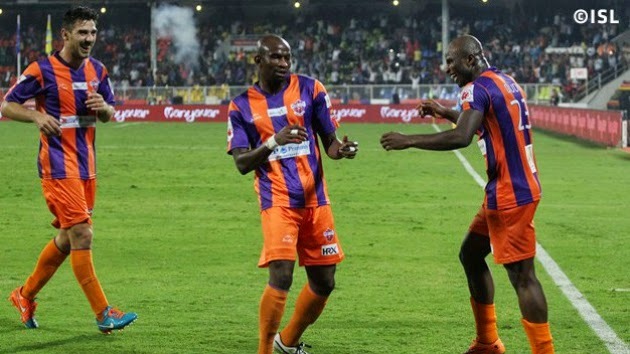 FC Pune City exacted a measure of revenge on their state rivals Mumbai City FC with a dominant 2-0 victory in Pune on Wednesday night. Dudu Omagbemi rose to the occasion with two second half goals to send Franco Colomba's men soaring up to the fourth spot in the Hero Indian Super League table. The match could have gone the other way had Tiago Ribeiro converted a penalty in the 51st minute for the visitors. The only downside for the victors was the expulsion of their head coach for entering the pitch in celebration of his side’s goals.